Did Riobel Steal from MySQL AB? 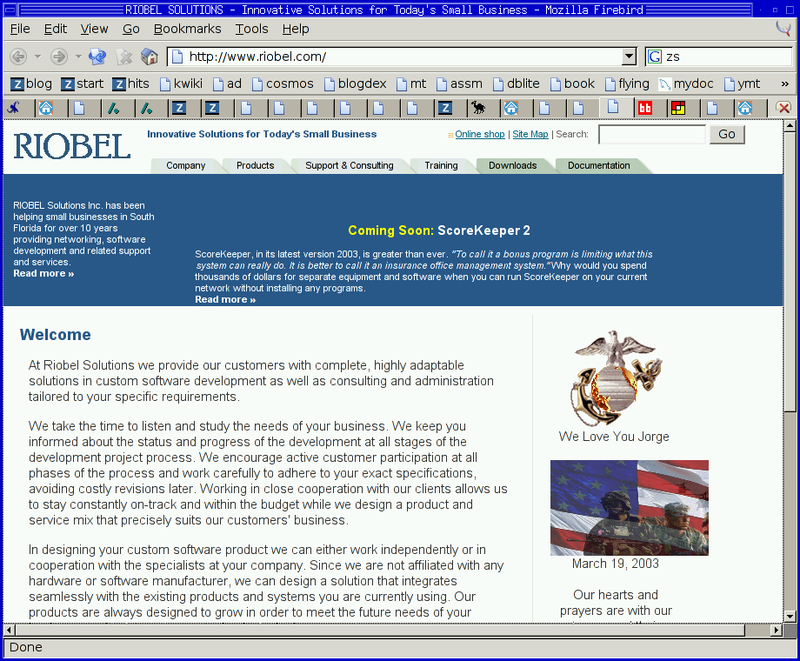 I happened across Riobel today and for a minute I thought I was looking at the MySQL home page. The Riobel page is such an obvious ripoff that my confusion seems pretty well founded. 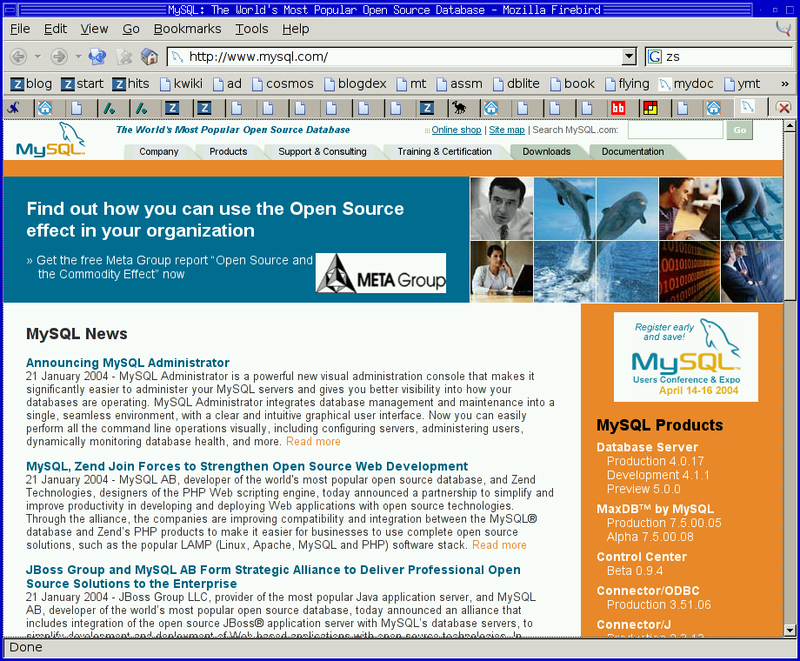 In case they change it, here are two screenshots: MySQL and Riobel. You judge. Actually, Jim already spotted it yesterday. And they have actually ripped of our previous homepage - see this for better comparison. isn't imitation some sort of flattery? Yup, stolen right down to the HTML code and the file names of the images. Unfortunately for Riobel, the top Google result for their company name will soon point out that they are theives. But I'm sure you didn't intend for that to happen. I'm sure Postgres' site is of much better quality. Looks like they are scared... the took down the pages. It's likely the other way around - mysql ab ripped off Riobel's pages. Ah, great to see you back Larry. You've always got such insightful commentary to add here.